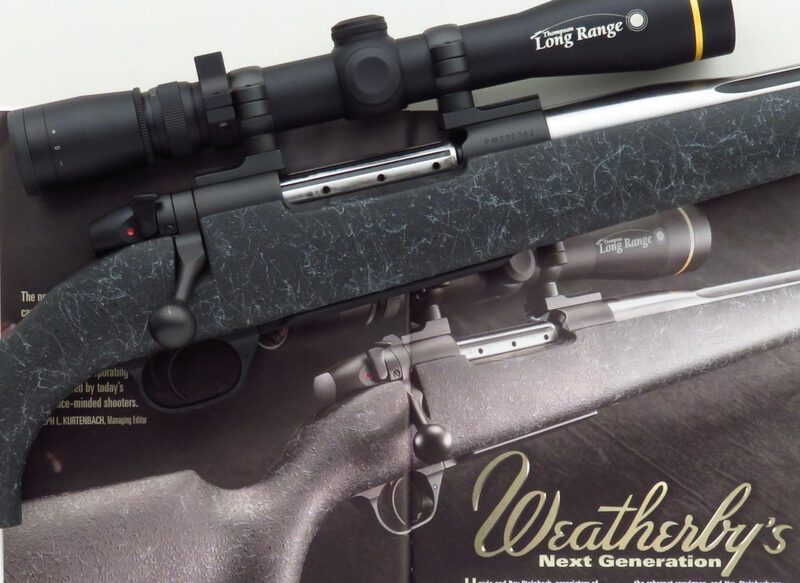 Weatherby Mark V Accumark 6.5-300 Weatherby Magnum, featured in American Rifleman, confirmed sub-MOA, Leupold, LXX, Thompson Long Range reticle - Sportsman's Legacy, Fine firearms, related books and sporting collectibles. Representing estates, collectors and nonprofit conservation organizations. 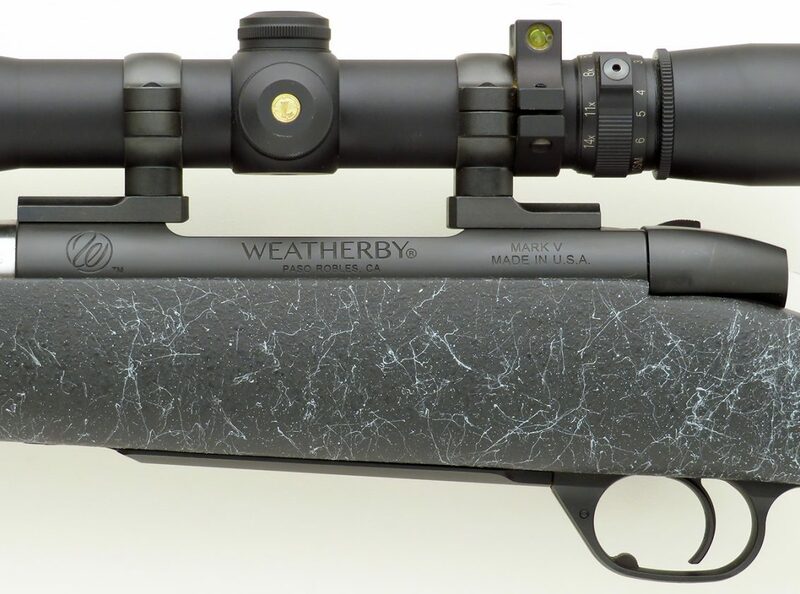 Weatherby Mark V Accumark 6.5-300 Weatherby Magnum. 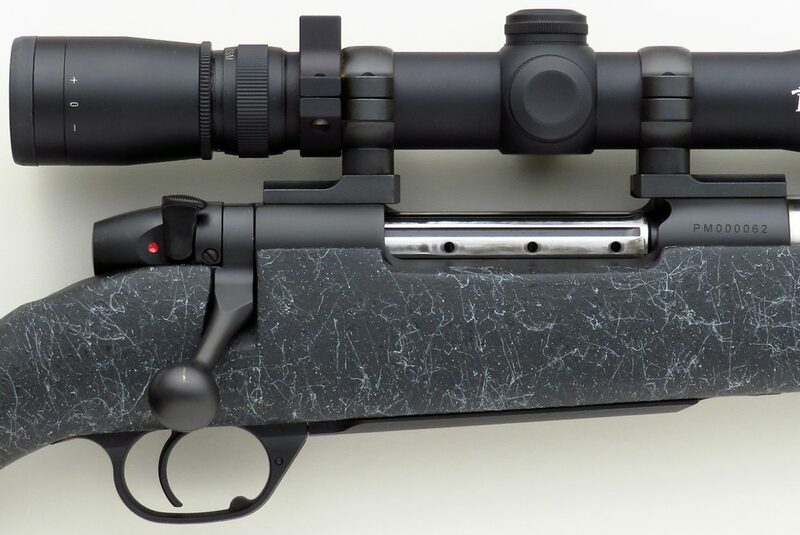 Featured in the November, 2016 issue of American Rifleman, serial number PM000062 has a hand-lapped 26-inch (without brake) stainless steel fluted barrel with thread protector cap, removable muzzle brake, wide blackened flutes, Leupold mounts, LXX trigger, synthetic stock and a Pachmayr Decelerator recoil pad. It should also be noted this is an early example of the recently “redesigned” Mark V, with a slimmed stock profile. ACCURACY TESTING: Factory testing shows sub-MOA with 127-grain Barnes LRX bullets. Magazine testing also reports sub-MOA with the same bullet and 1.5-MOA with 130-grain Swift Scirocco bullets. 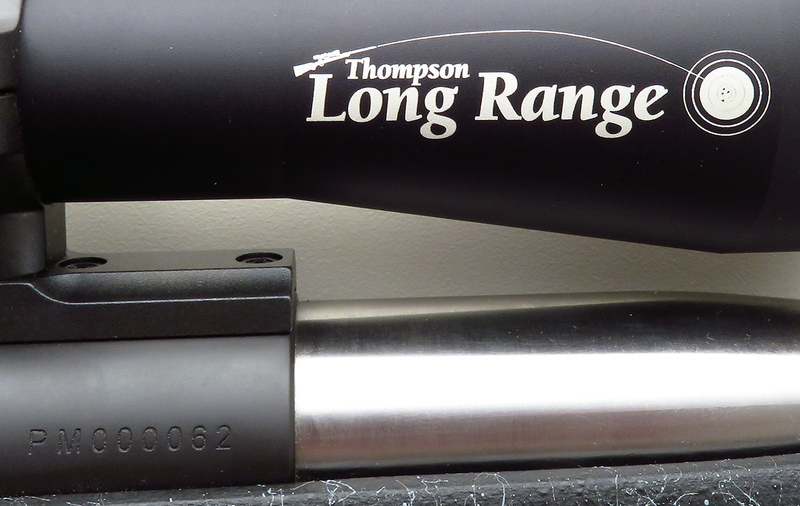 OPTIC: The Leupold VX-3 4.5-14x40mm Long Range has been modified with Thompsons Long Range reticle. It also has a side focus and added external level. MEDIA APPEARANCE: This Weatherby is the subject of a feature article in the November, 2016 issue of American Rifleman, beginning on page 66. A copy of the magazine is included. CONDITION: The bore is strong and bright. Metal finish is about 99 percent. INCLUSIONS: Upon request, the consignor will provide a personalized letter stating this rifle is the one showcased in the magazine article. 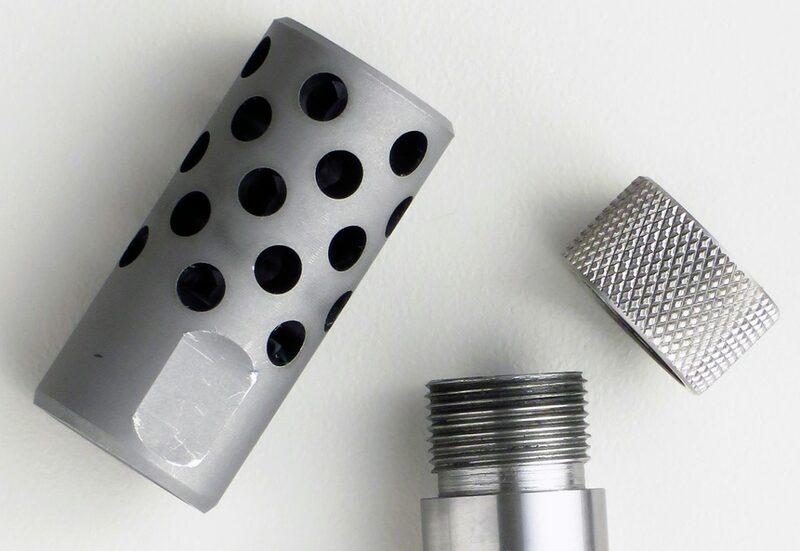 The muzzle brake, factory manual and accuracy testing report dated 4/16 are also included.